Lock in a great price for Botany Bay Hotel – rated 9 by recent guests! The hotel's situation overlooking the Channel between Broadstairs and Margate is its standout feature, making it perfect for a coastal escape. The room was large and very comfortable and the bar/restaurant served really good seaside dishes. Breakfast was pretty good, though they kept running out of ingredients. 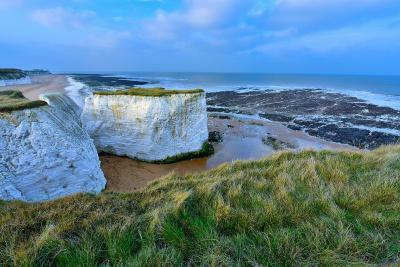 Location was lovely - amazing walks along cliffs and Botany Bay beach is beautiful. Large, comfortable room, great location, friendly staff. Location is incredible and the room with a sea view was exactly what I was expecting! Super friendly staff, good location, view and food. Location, food, greeting from staff, helpfulness of staff and friendliness of staff - they were great. The location is great and parking was good.Front desk staff met us with a smile and explained everything to us. the room was clean and a nice touch of free water. Botany Bay Hotel This rating is a reflection of how the property compares to the industry standard when it comes to price, facilities and services available. It's based on a self-evaluation by the property. Use this rating to help choose your stay! Boasting picturesque views of the English Channel and the North Sea, the charming Botany Bay Hotel enjoys an elevated position on the cliff tops in Kingsgate, near Broadstairs in Kent. 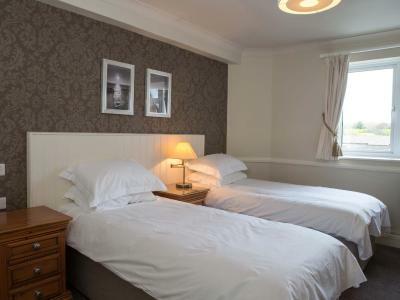 Botany Bay Hotel features a range of facilities to ensure a pleasant and relaxing break by the sea, whether you are visiting on business or leisure. Take advantage of the comfortable lounge bar, sample local cuisine in the sea view restaurant or simply unwind in your well equipped guestroom. The hotel also has function facilities and hosts live music. Ideally placed for golf enthusiasts, Botany Bay Hotel is adjacent to the famous North Foreland Golf Club and within a few miles of both Princes and The Royal St Georges Golf Clubs in Sandwich and Canterbury Golf Club. When would you like to stay at Botany Bay Hotel? Located at the back of the hotel above the kitchens, these rooms boast tea/coffee making facilities, a hairdryer, free WiFi, and a large flat-screen TV. Extra beds/guests cannot be accommodated in this room type. Spacious Twin room with satellite TV and free internet connection. These rooms have a bathroom with a bath or shower. Each room features tea and coffee making facilities, telephones, free Wi-Fi, and a large flat-screen TV. 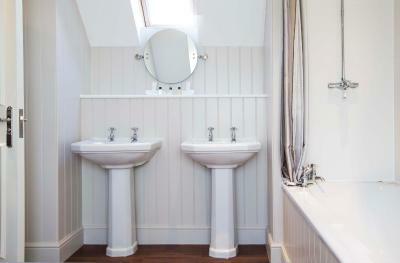 This suite has a double and a single bed, with a private bathroom. Featuring free WiFi, the suite contains a large flat-screen TV, tea and coffee making facilities, and a hairdryer. 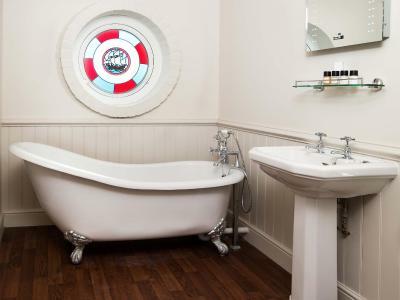 These spacious suites have a bathroom with a shower, and one has a large balcony with sea views and a sleigh bed. 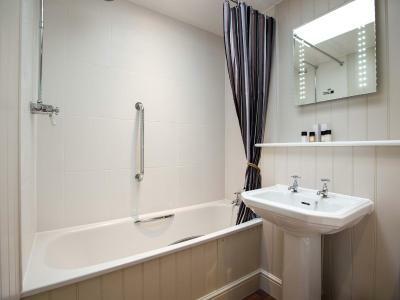 Each room has free Wi-Fi, a large flat-screen TV, and facilities for making tea and coffee. This room has its own bathroom with a shower. It has tea and coffee-making facilities, a hairdryer, free Wi-Fi, and a large flat-screen TV. This suite features a satellite TV and private bathroom facilities. The Hotel over looks Botany Bay, with its stunning views. We only have a certain number of seaview so booking early is highly recommended. We also offer functions with or without music. Please speak to us to book your very special night. House Rules Botany Bay Hotel takes special requests – add in the next step! Botany Bay Hotel accepts these cards and reserves the right to temporarily hold an amount prior to arrival. Guests must provide an email address at the time of booking. The property hosts music / entertainment until midnight. Some rooms may be affected by noise. 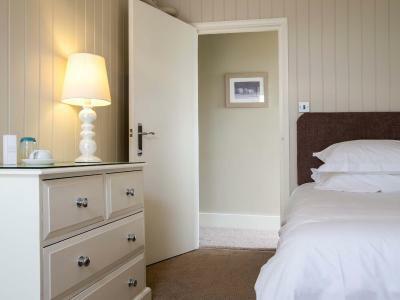 Please note that pets can only be accommodated in the Standard Double Room and Standard Twin Room. Please inform Botany Bay Hotel of your expected arrival time in advance. You can use the Special Requests box when booking, or contact the property directly using the contact details in your confirmation. I would have liked a hair dryer in the room. I suppose I could have asked at the front desk but I didn't really have time! The breakfast was perfect and also served very promptly! I didn't have much time but ordered poached eggs and one sausage! It was perfectly cooked and served piping hot along with the delicious wholewheat toast I'd requested. I was delighted to see that you you use Fair Trade coffee -- sooh good as well as ethical!! Well done! Lovely location, breakfast was delicious! The hotel is in a beautiful place on the beach and free parking was good. The staff were fantastic and so dog friendly throughout the hotel and bar. Breakfast was huge and good value. The plastic cups, wrapped in plastic packaging, need to be removed from the rooms. Not necessary when glasses were also provided. The staff were all friendly and accommodating and we were delighted that we could take our dog along, too. We'll definitely be back! Bed and pillows could’ve been a little more comfortable. The location was fantastic and the staff very welcoming. Very clean hotel. The food was poor. Sort of Beefeater level. So if you like that kind of thing, you'll be ok. I imagine they have big freezers in the kitchen. Very little to improve upon so just a couple of comments: instructions on how to make shower run hot - I may have been being thick, but couldn't work out how to make it run hot. At breakfast, when order for tea/coffee etc taken, it would be useful if the staff then let you know they'll be back to take order for hot food. We were a bit unclear as to whether / how this worked. But really a minor issue and the staff were lovely. The staff and their attitude were outstanding. On arrival, we were greeted with a friendly welcome, clear instructions on time for breakfast etc. The lady on reception was really lovely and walked us to our room. She asked if we'd like fresh milk for the tea/coffee and brought it straight to us in a thermos so it stayed cool and fresh throughout. The room was a good size, quiet and very clean. Staff at breakfast were charming too, nothing was too much trouble. Breakfast was excellent, hot, freshly cooked and delicious. I think we were fortunate that there wasn't an event on Saturday evening which meant it was particularly quiet. Wifi could be better which was not great for a business trip. Staff were super helpful and the breakfast was delicious. Staff were very friendly. Great location for exploring Margate, Broadstairs and the coast. Walking and cycling all weekend. Great location. Very clean. Lovely staff very helpful.